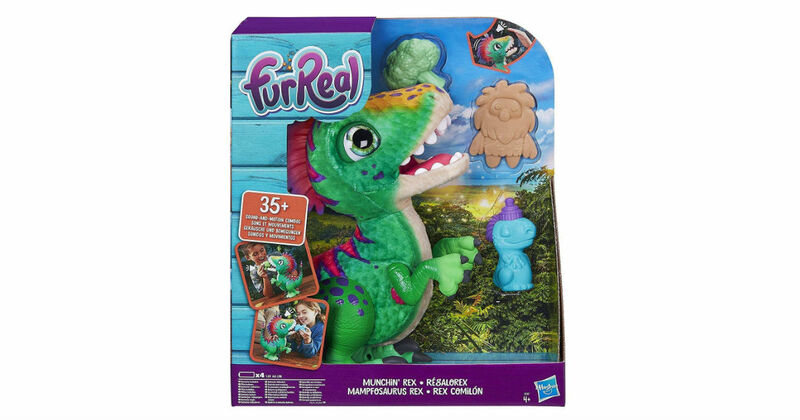 Amazon has furReal Munchin Rex on sale for just $23.03, regularly $59.99. When kids wave at him or feed him his treats, baby dino responds with 35+ sound-and-motion combinations. He hops and begs with excitement for treats. Includes pet, bottle, broccoli treat, caveman-cookie treat, and instructions.